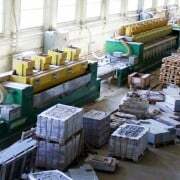 In this page you will find a list of used available plants for granite tiles production. 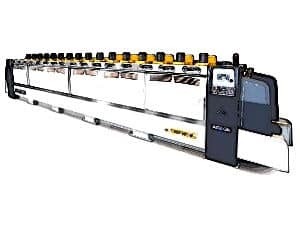 This kind of plants are composed of a group of machines: tiles loader (produced by the block cutters), calibrator for the thickness, polishing line, cross cutter, calibrator for the width and length, bevelling machine, unloader roller. These used tiles-plants come from bankruptcies or companies who update their production line.